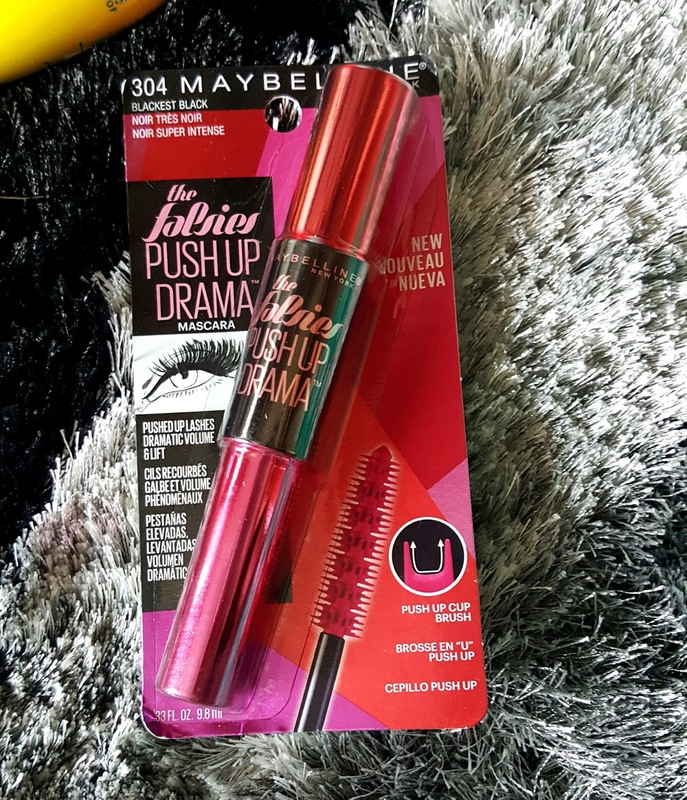 Finally its here yes The Falsies Push Up Drama mascara is here so happy to talk about this lovely mascara from my favorite drugstore brand MAYBELLINE. 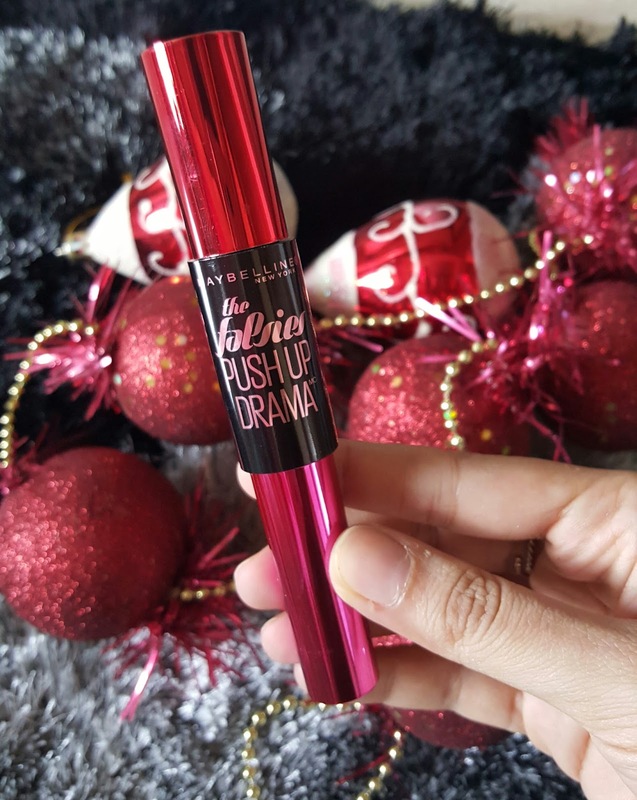 The Falsies Push Up Drama Mascara is one of their latest launch in mascara range. I have heard mixed reviews about this mascara some liked it some didn't but I wanted to find out on my own whether this mascara is true to what it claims or not. So lets find out. The packaging is so so attractive. On first look I thought its a double ended mascara because the tube is in two different colors its metallic hot pink at bottom with metallic red for the cover it also has black in between tube. The tube tapers at bottom which reminds me much of Benefit Roller Mascara. 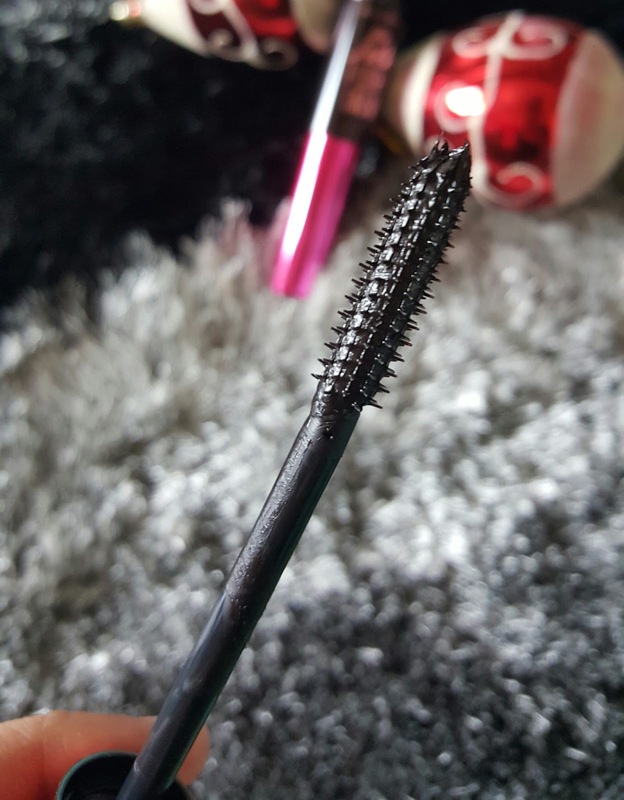 This mascara is washable and is in blackest black shade. I pretty felt in love with the packaging. I liked this red hot pink colors. The brush is straight its not curved like Benefit roller mascara. The bristles are placed in such a way as to help push lashes up and give a lift to it. This mascara is basically to give you that push up effect. It also provides volume to the lashes. 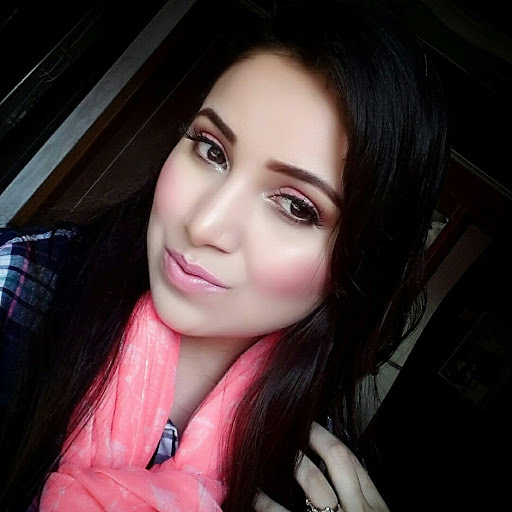 While applying there was no smudging on the eyelids. It didn't even smeared off. This mascara does not flake. I liked using it for my bottom lashes too but as the brush is straight it was bit difficult to apply on my inner lashes. The formula is quite creamy and helps to holds my lashes in place for hrs. If you have a close look this bristles are in cup shaped it scoops and lifts your individual lashes to give a false effect. I always love using mascara whether I have eye makeup on or not. And I am very much obsessed with this formula its not dry nor wet just a perfect creamy which dries of quickly. It doesn’t clump my lashes. My lashes don’t feel so stiff or hard after application. I love using several coats of mascara to give maximum effect. This definitely helps in pushing up lashes and give volume to some extent but doesn't help in lengthening your lashes. I have not wiggled this brush because I didn’t wanted any clumpiness to my lashes. This brush holds the lashes from the to root to tip. This mascara is very different from the Roller mascara in many ways. Roller mascara helps in curling your lashes while the Maybelline doesn’t hook or curl your lashes it just gives you lifting effect with cup shaped bristles. 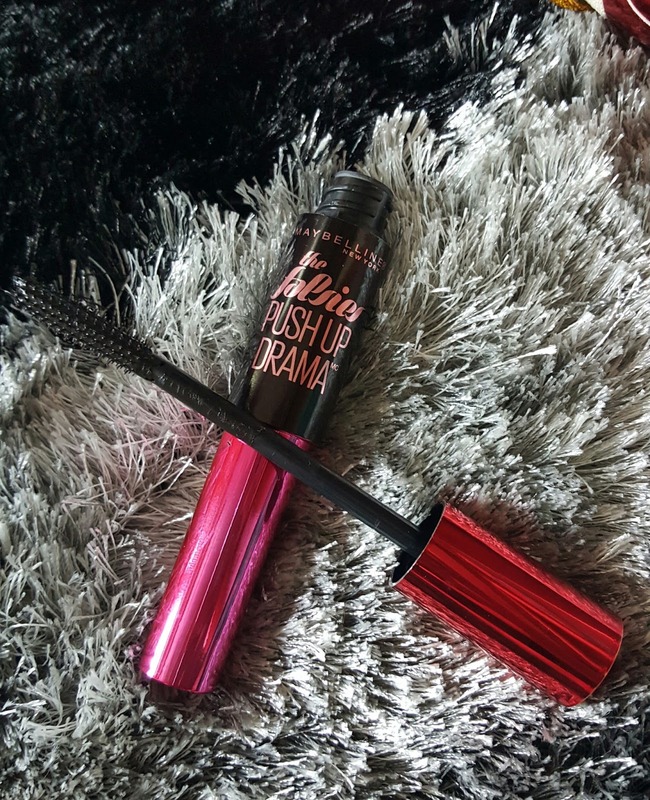 Its a blackest black color which makes my lashes appear thick it definitely helps giving that dramatic falsies lash effect. 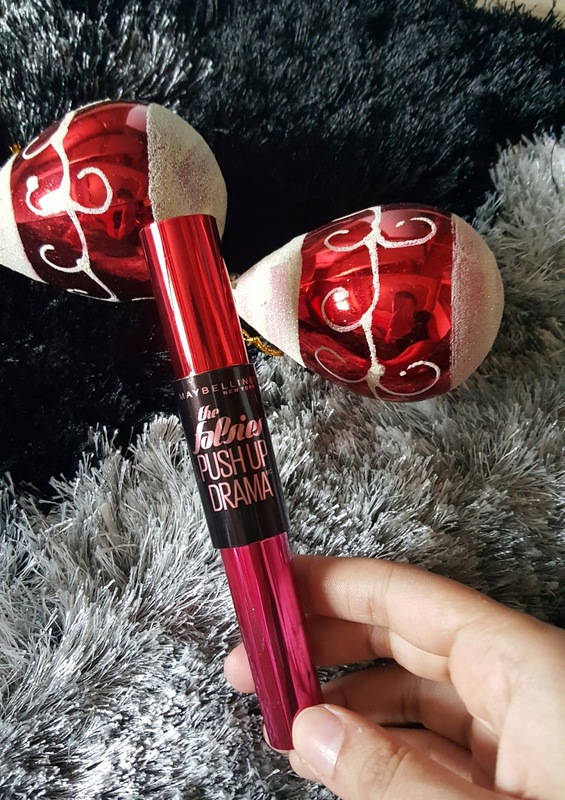 Overall I am impressed with Maybelline The Falsies Push Up Drama mascara its not one of the best mascara from Maybelline but they are quite affordable and gives you enough volume and drama to lashes. It doesn’t add much curl but but helps in pushing up your lashes. If you curl your lashes you will get results very similar to Benefit Roller lash mascara at much affordable price. I would love to repurchase it again. Attitude. Style. Drama. Lashes. You like to push it up. And now you can push the limits with the first ever cup-shaped bristles that lift your lashes to dramatic heights. Over-the-top lashes for a glammed up look. When you don’t want to just arrive, but want to make an entrance.